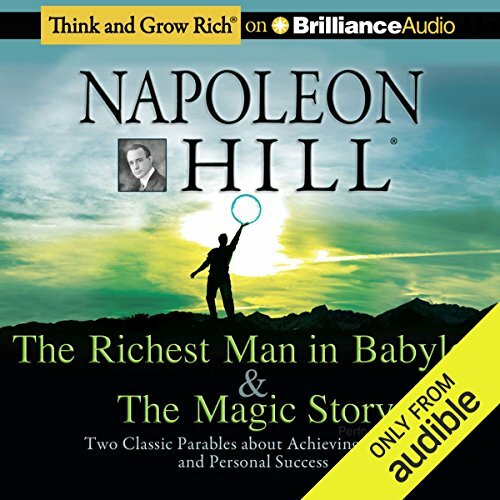 Showing results by narrator "Credit No"
These parables - one ancient, one modern - contain time-tested secrets that will put you on the road to happiness and prosperity. The Richest Man in Babylon: George Clason’s motivational classic story of Arkad, a man of humble origins who became the richest man in Babylon. In dialogue with his fellow citizens he reveals the attitudes and behavior that brought him wealth and happiness. The Magic Story: What turns a loser into a winner? Jay, a down-on-his-luck writer, sees his once struggling friend Sturtevant transformed into a man of supreme confidence and achievement. How did his friend do it?